The TMS Express has more than fifteen years of experience in logistics and air freight/ transport. This experience, combined with our established network of contacts, allows them to offer you a professional delivery service to the Democratic Republic of Congo and to any corner of the globe. Their network would allow you not only to send and receive packages, but also help you to carry out the selling (exportation) and importation of your merchandise. TMS Express has a worldwide network enabling us to offer the best and most beneficial services to our clients. TMS Express is represented all over the world. 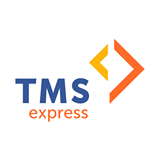 TMS Express has the logistics to ensure the adequate collection and distribution of letters and parcels to and from the home of the customer. TMS Express enables you to do everything in just one click. The VirtueMart/TMS Express plugin calculates automatically the cost (cargo and express) to a specific destination according to the weigth and volume of theproducts in the cart.